All Sphynx kittens for sale are CFA/Tica registered, vaccinated and come with a written health guarantee. Pet Sphynx kittens are placed in their new homes between 10-12 weeks of age. 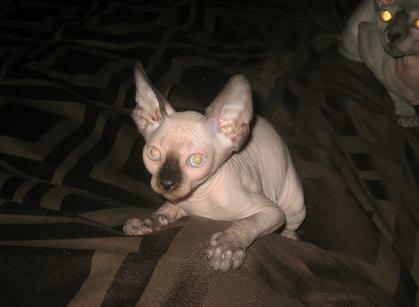 All pet Sphynx kittens are sold altered or with a strict spay/neuter agreement. 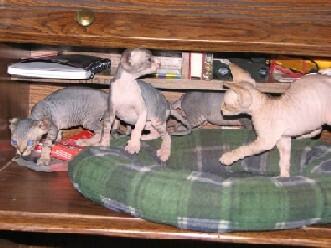 We currently have Sphynx Kittens for sale and are currently taking deposits. We are located in Toledo, Ohio, one mile south of the Michigan line. We are easily accessible from I-75, US-23 and the Ohio Turnpike. 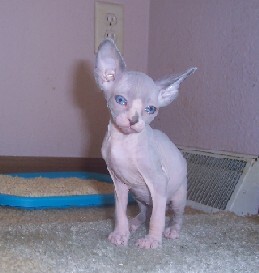 We frequently sell our Sphynx kittens to Sphynx cat lovers located in Ohio, Michigan, Indiana, and Pennsylvania. Some go even further, however, we prefer not to ship our pet Sphynx kittens. Email: kissysphynx@gmail.com questions or comments about this web site.